Ana Rucner, the famous Cello player’s tour will begin on November 16th with the performance at the Bosansko narodno pozoriste in Zenica. The day later, on November 17th, Rucner will perform in the hall of the Croatian House of Duke Stjepan Kosaca. 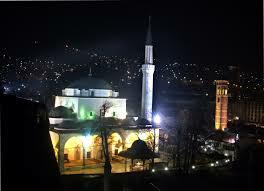 The tour ends with concert in Sarajevo on November 18thwith a performance at the Youth Center. Ana Rucner was born in 1983 and is the most famous Croatian cello player who, together with Deen Backovic, Dalal and Jala, represented BiH in 2016 at the Eurovision Song Contest.